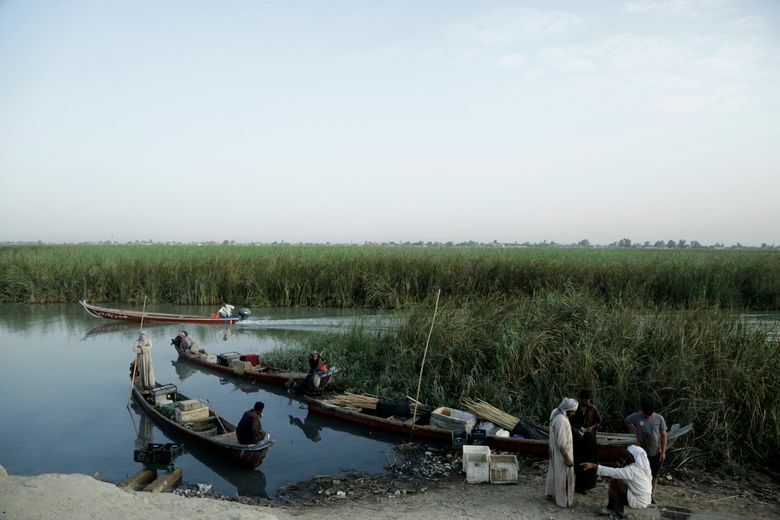 The marshes, a lush remnant of the cradle of civilization, were reborn after the 2003 fall of Saddam Hussein when residents dismantled dams he had built to root out Shiite rebels. But the largest wetlands in the Middle East now are imperiled by government mismanagement and new upstream projects. 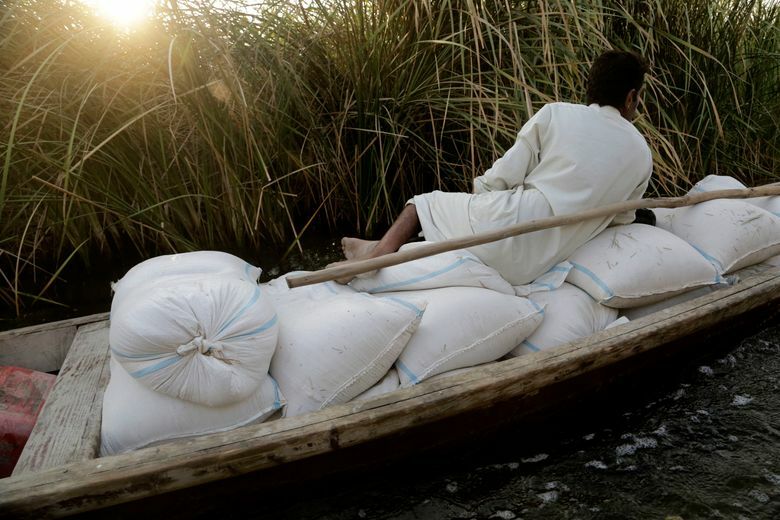 CHABAISH, Iraq — In the southern marshlands of Iraq, Firas Fadl steers his boat through tunnels of towering reeds, past floating villages and half-submerged water buffaloes in a unique region that seems a world apart from the rest of the arid Middle East. The marshes, a lush remnant of the cradle of civilization , were reborn after the 2003 fall of Saddam Hussein when residents dismantled dams he had built a decade earlier to drain the area in order root out Shiite rebels. But now the largest wetlands in the Middle East are imperiled again, by government mismanagement and new upstream projects. 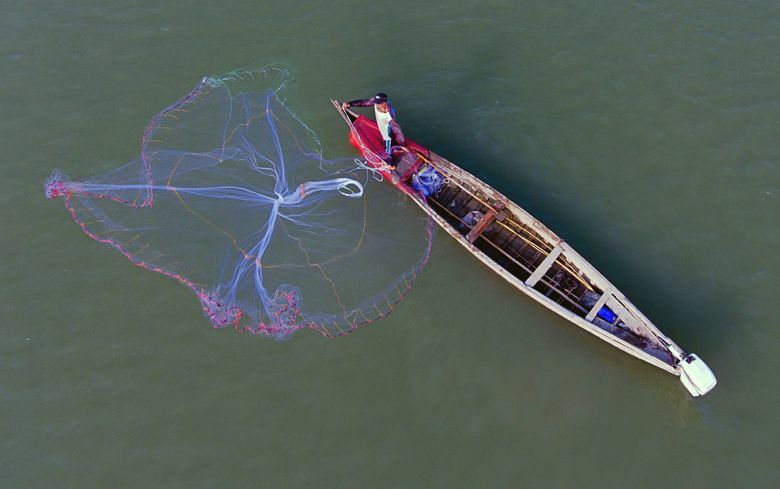 Fadl, at 26, is too young to remember the death and rebirth of the marshes, but he has seen their steady decline in recent years as he has struggled to make a living by fishing the brackish waters. Upstream electrical dams and irrigation projects have reduced the flow of freshwater, allowing saltwater from the Persian Gulf to seep in. Farming and sewage runoff have depleted fishing stocks, forcing some fishermen to resort to using car batteries and chemicals. The flares of nearby oil wells light up the night sky, but the sweltering, humid region remains mired in poverty. Facing a lack of employment options, hundreds of young men from the area took up arms in the fight against the Islamic State group, joining state-sanctioned Shiite militias. Posters honoring the fallen crowd traffic circles along the roads leading to the wetlands and line the walls inside a monument honoring those killed by Saddam a generation earlier. The overwhelmingly Shiite region rose up against Saddam’s Sunni-dominated government in 1991 after his crushing defeat in the Gulf War, and the rebels took cover in the marshes as they battled his forces. 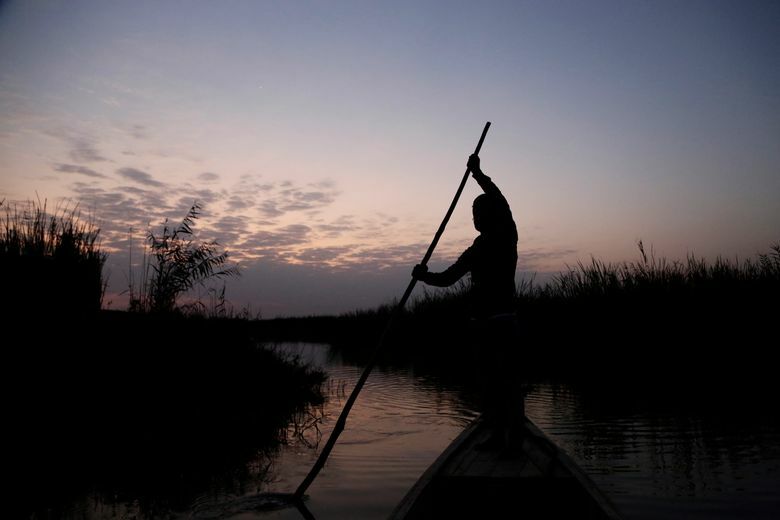 The government responded by deliberately draining 20,000 square kilometers (7,700 square miles) of wetlands, turning the area to desert and displacing half a million people. Iraqis who lived through that era speak of a paradise lost. 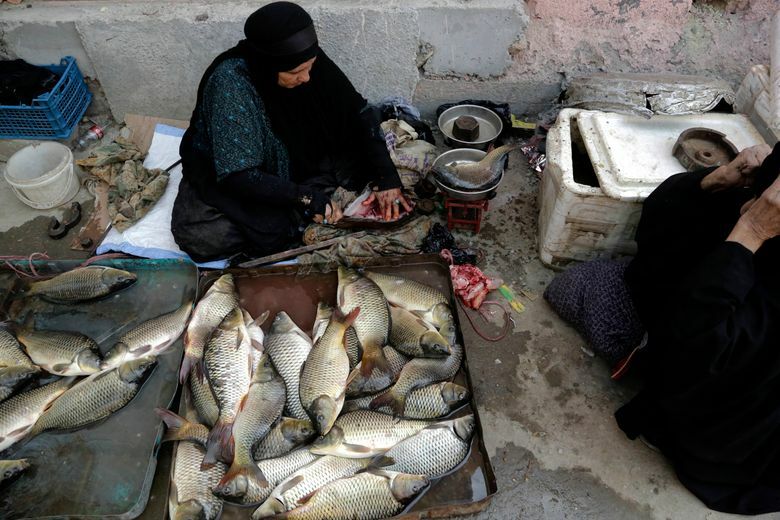 After the 2003 U.S.-led invasion toppled Saddam, residents dismantled the local dams, allowing the waters to return, and with them the plants and animals on which the community relied. 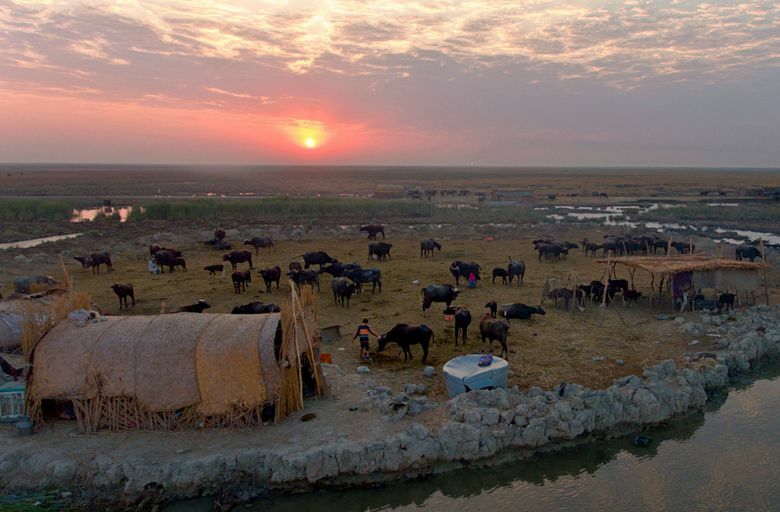 The revitalization of the wetland was hailed as a rare success story in a country beset by conflict. But still, today’s marshlands are only around 14 percent of what they were in the 1970s. Development along the Euphrates and Tigris rivers, particularly the construction of so-called mega dams under Turkey’s Southeast Anatolia Project, have caused a 40-45 percent reduction in downstream flow in the Euphrates alone, according to a 2015 report from Chatham house, a London-based think tank. The dams also block silt, depriving the rare ecosystem of life-giving nutrients, according to a United Nations report. The marshes were declared a UNESCO World Heritage Site in 2016, and there has been talk of exploiting their tourism potential. 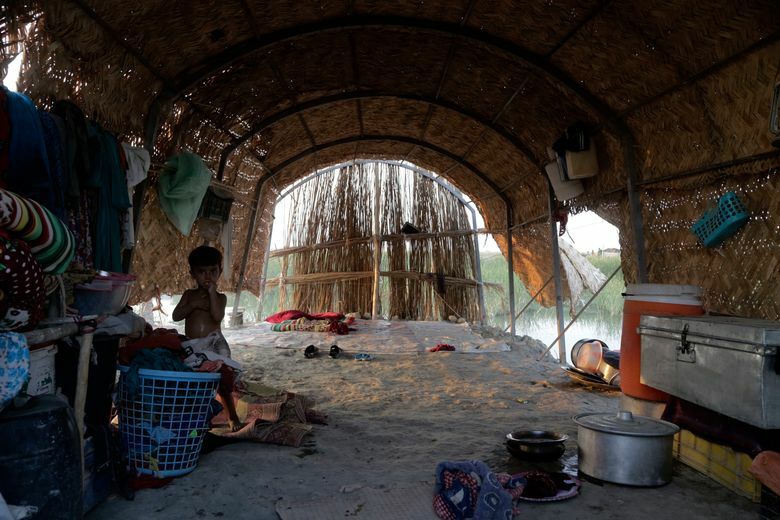 Southern Iraq has largely been spared the violence that has gripped other parts of the country, and the marshes were always hundreds of miles (kilometers) away from the front lines in the war against the Islamic State group. But the weak central government has long neglected the region, and residents complain about a lack of electricity and other basic services. 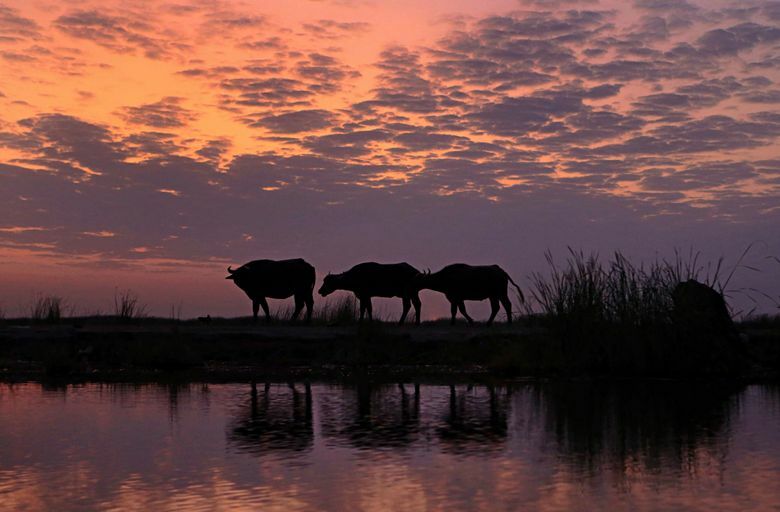 The 6,000 people who live in the marshes dwell in thatch huts and barns, relying on fishing and the raising of water buffaloes. Wooden boats ply channels braided through a forest of reeds. Migratory birds like eagles, cormorants and pelicans still visit the marshes on their seasonal journeys. Richard Porter, a longtime researcher of the marshes and adviser to Birdlife International, said the loss of the wetlands would be a “big blow” to several species. 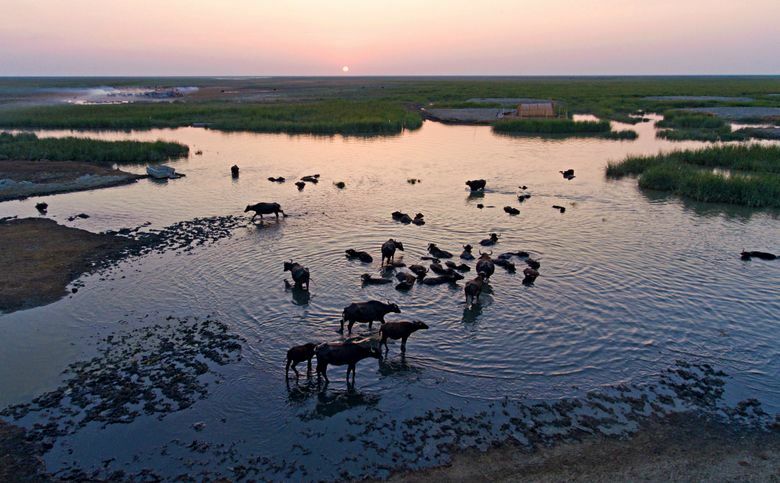 The marsh’s residents brought the wetlands back from the brink after 2003, said Jassim al-Asadi, the managing director of Nature Iraq and a leading advocate for the area. Now, he says the government needs to finish what they started. 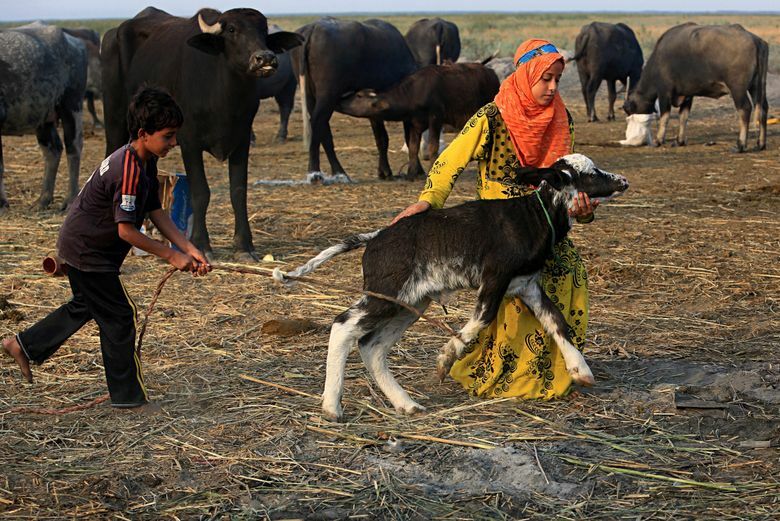 “The Iraqi government did not return the marshes to this state — the people brought back the water,” he said. For the region to continue to survive, he says, the government needs to better regulate the use of water in the arid country and work with its neighbors to prevent the construction of more upstream dams in Turkey and Iran.